He Loves Me, He Loves Me Not! – A platform to generate brand awareness through cross promotion and efficient brand marketing, meeting our own standards not societys! 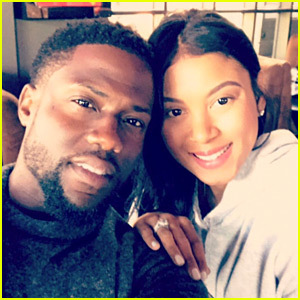 As any “HUMAN” would Kevin Hart denied any allegations of cheating on his wife Eniko Hart initially. No one truly knows if he confessed to his wife already before the first video of denial, and she wasnt ready to address it, or if it was a decision they made together. Bottom line is Kevin Hart has owned up to his deceitful actions of cheating in a video he released confessing. Eniko primary focus is their unborn son, not divorce, not spite, not anything to affect the foundation their family has emerged into with the loven of one another. She stands by her husband and is more than ready to enter motherhood with open arms. Her first successful step into motherhood a little bit earlier than expected is faith and her unconditional love for Kevin. It has been told that “love is blind, love is kind, and love it patient”! If you was Eniko Hart how would you have handled this situation? ← Now audience how do we feel about this? Should NFL players be force to stand for the pledge of allegiance? Thank You! We apprecitate you taking the time to share your feed back!